The Cyprus Freshwater Angling Association was born as a brainchild of several freshwater anglers several years ago. After a many-month period of serious effort, including nonstop and dedicated work, the Association became a reality in October 2005. 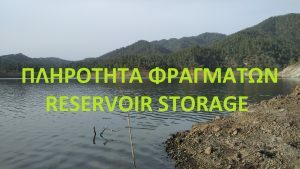 The first Association concerned solely with freshwater fishing in Cyprus has now been created. This is a non-profit Association, with aims to promoting freshwater fishing, by making sure that the relevant laws are observed (and wherever necessary improved), the better supervision of dam management, the introduction of fishing competitions, the organization of fishing seminars, the suggestions for introduction of new freshwater fish, the better management of existing fish, the development of fishing culture as an active sport, the reinforcement of environmental consciousness, and many more. The support to the aims of the Association, especially from persons who really love the sport is extremely important, as well as from those who can assist in the Association functioning to the best of its potential by various means. We want to believe that this sincere effort will be appreciated and reinforced by the whole of the angler population.